As the age old wisdom goes, prevention is better than cure. Preventive health check is one way to ensure that you don’t end up spending lacs for an illness. It could have been diagnosed earlier and would have cost you only some thousands. In this post, let us discuss the utility of getting a preventive health check-up done and the lesser known tax benefits that accompany it. 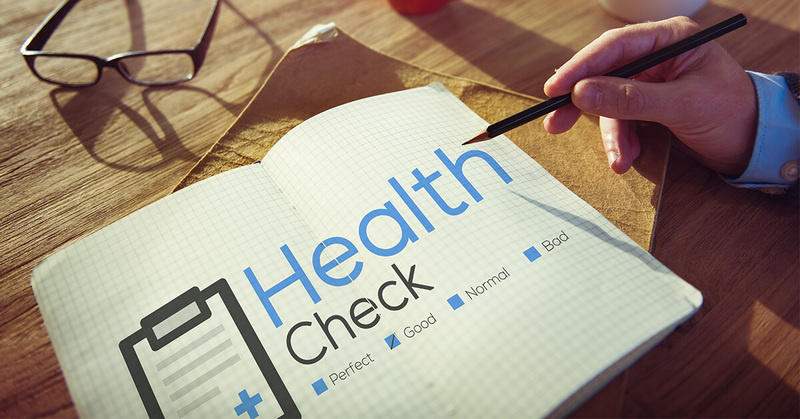 Preventive Health Check-up: Is it Really Needed? When it comes to our cars or for that matter, a water purifier, it generally gets serviced at least once every year. However, when it comes to our physical health, we don’t bother to get a check-up done ever. Imagine this situation! One day, you suffer chest pain and visit the doctor, who in turn asks you to get some medical tests done and concludes that if you had come a little earlier, it would have been better. Scary, isn’t it? When it comes to insurance, definitely sufficient mediclaim and critical illness insurance can mitigate the financial hardship to some extent. However, note that it cannot compensate the permanent loss of good health due to the time lag between identification and commencement of treatment for disease. And so the question arises: Is there a way to avoid such an unpleasant medical shock? The answer to this question is a regular system of “preventive health check-up”. So, when I say regular check-up, it should not be a one-time affair but should be done consistently, for example, on an annual basis. Also, fixing a date for the check-up can really help in setting up reminders and inculcates discipline. For example, you have a preventive check-up to be done on an annual basis on Jan 15 every year. So, once you fix upon a date, it is easy to set up reminders and ensure that you’re able to meet this commitment towards your health. Amongst the well-known and publicized tax deductions like life and health insurance, PPF, NSC etc., there is one tiny deduction which is missed out and that is for preventive health check-up. This deduction was introduced from the assessment year 2013-14. You need to incur an expenditure on preventive health check up in a particular financial year. Expenses can be in cash or in a mode other than cash. If all the above conditions are satisfied, the amount that’ll qualify for deduction is the amount spent in the financial year or Rs. 5,000 whichever is less. This limit of Rs. 5,000 is subsumed within the overall limit of Rs. 25,000 for mediclaim insurance premium. Unlike mediclaim insurance premium, there is no additional deduction in case a senior/super senior citizen undergoes the check-up. So, as we can see from above, this deduction does not raise the overall limit of tax deduction above Rs. 25,000. Also, it can be claimed irrespective of whether you have a mediclaim insurance policy or not. Having said that, the utility of this tax deduction is especially in case of nuclear families. Due to a small family size, the mediclaim insurance premium is not high enough to claim the full benefits of Section 80D deduction of Rs. 25,000. And this is where tax deduction towards preventive health check-up is well utilized and fills the necessary gap, and at the same time reducing the tax liability. The law is silent on things such as the kind of tests that are eligible, any particular type of laboratories which qualify etc. Due to this, any expense towards preventive check-up, as understood in general parlance should safely qualify for a deduction. There is no requirement of submitting any document/receipt to the income tax department. However, as a matter of record and proof at a later date, it is advisable to retain the receipt of the payment in your tax file. This deduction can be claimed on individual basis. The wife may be a working individual. But, the insurance premium meets Section 80D limit of Rs. 25,000 in husband’s tax return. In such a case, the wife can claim for preventive health check-up expense in her return so as to use the Section 80D limit thus, reducing her tax liability. It is common knowledge that with the rise in lifestyle disorders, onset of diseases like diabetes and heart disease is very quick and is no longer an old man’s illness. In such a situation, apart from having adequate life insurance, a pro-active effort in getting a preventive health check-up can go a long way in avoiding unwanted shocks in your life’s journey. Getting a cool tax break on this expense serves as an icing on the cake. It is a good move by the government to promote people’s physical and emotional well-being. How to Claim Tax Benefit for Preventive Health Check-up? 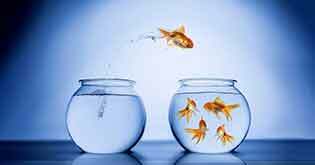 Tax deductions are applicable on health insurance and family floater plans. Policyholders are eligible for tax deductions on annual premium payments, offered by employers as well as standalone health plans. 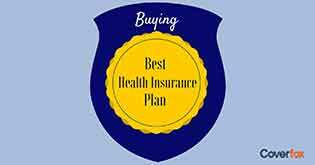 Health insurance can be purchased for self, spouse, dependent children and/or dependent parents. Dependent children imply children who are unemployed. Unemployed male children can be covered up to a maximum of 25 years, while an unemployed female child can be covered till she is unmarried. Policyholders are eligible for tax deductions on annual premiums for health plans for dependent parents. 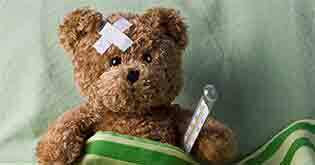 Premiums paid towards health insurance for siblings do not attract tax deductions. Offers the flexibility to make premium payments offline, except cash, as well as online. The available online modes of payments are Debit Card, Credit Card and Net Banking. Medical insurance policies enable policyholders to avail a tax deduction of a maximum of Rs. 5,000 under Section 80D of the Income Tax Act, 1961, for the expenses incurred towards preventive health check-ups for self, spouse, children or parents. 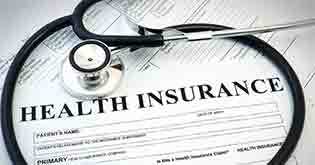 The tax deduction is applicable on the annual premium paid towards the medical insurance policy. 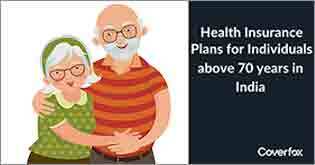 Annual premiums paid towards preventive health check-up who are senior citizens, i.e., of 60 years and above can avail tax deductions of up to Rs. 7,000 under Section 80D of the Income Tax Act, 1961. Why Preventive Health Check-up Is Important?